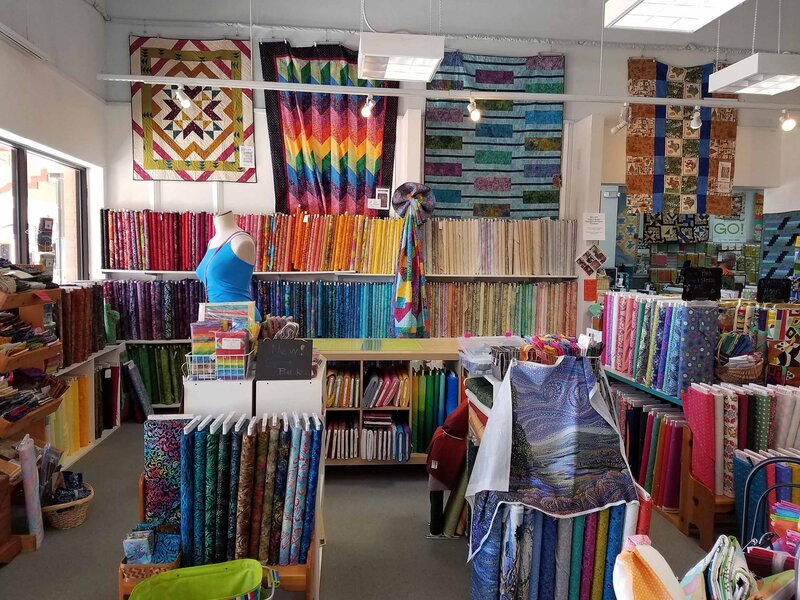 The Quilt Haus is home to Creative Sewlutions quilt patterns, designed by shop owner Deanne Moore. All of Deanne's patterns and her Fabric Play book are carried here at the shop, . 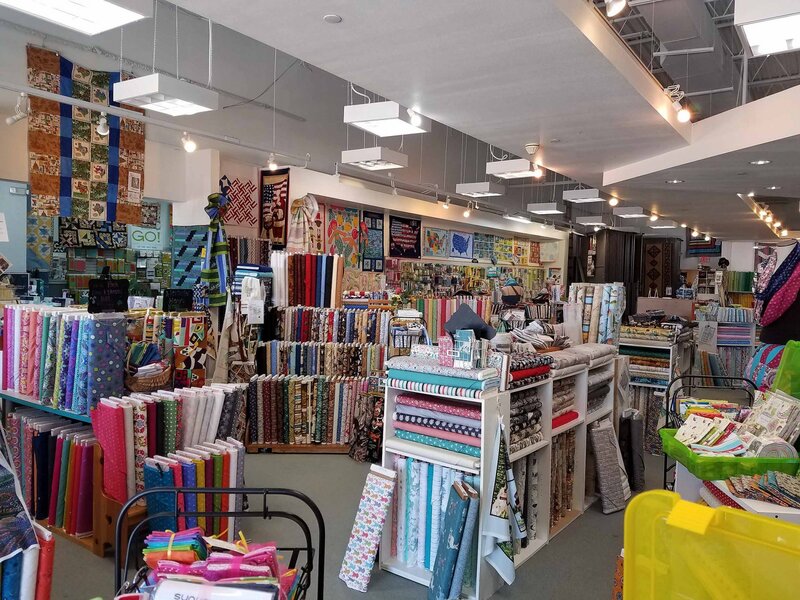 Our retail location in New Braunfels, Texas (between Austin and San Antonio), features a bright, cheerful 5500 sq. 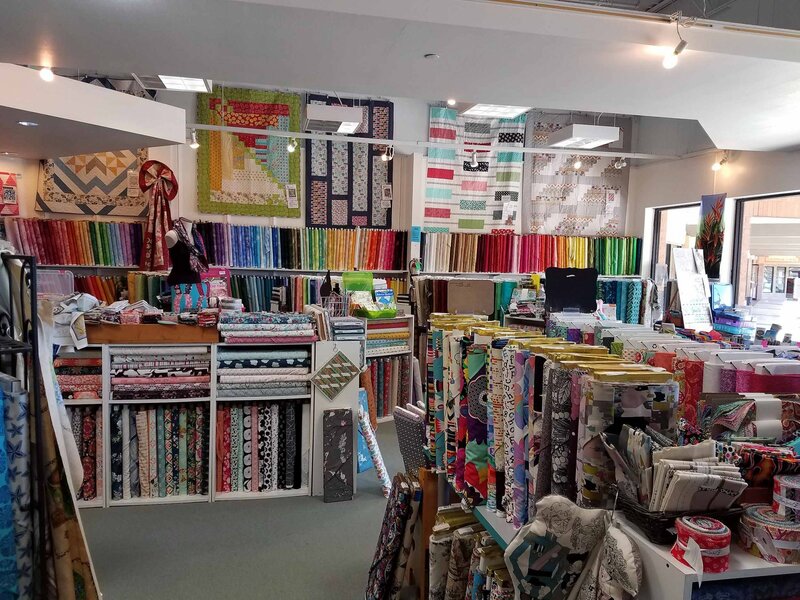 ft. building fully stocked with fabrics, notions, books, patterns, threads, and sewing machine accessories. 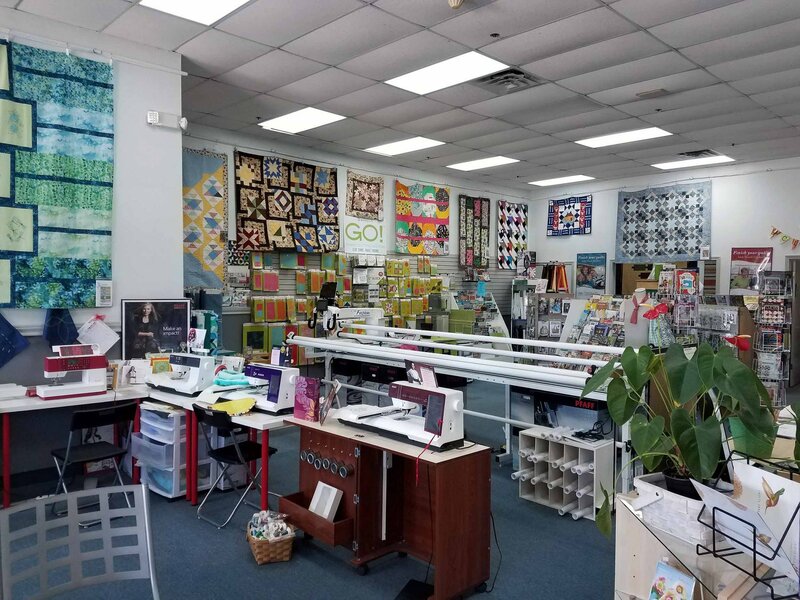 Our conjoined sister store, Way to Sew, carries a full line of Pfaff sewing, embroidery, and serger machines, Handi Quilter long arm and sit-down quilting machines, and AccuQuilt's line of fabric cutters and dies. We provide qualified sewing machine repair services and thorough machine instruction, in addition to quilting and cutting machine rentals. 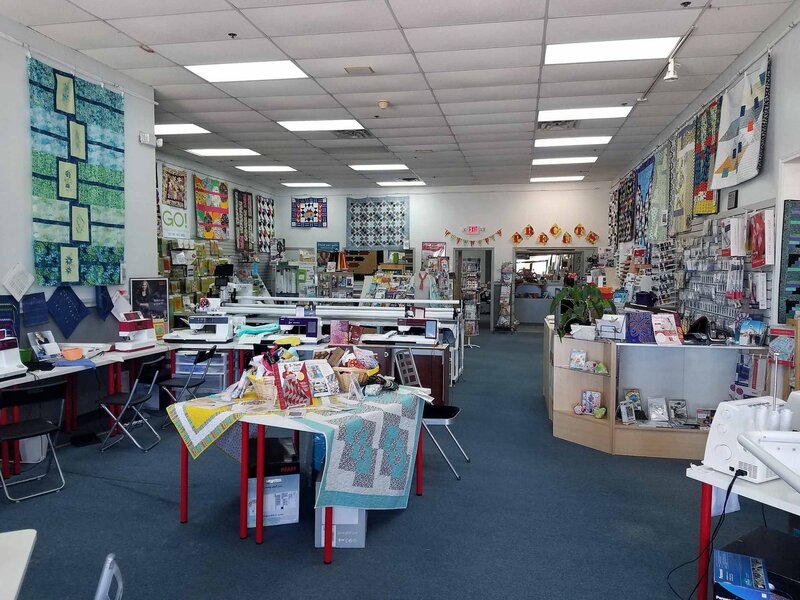 Our store features a spacious classroom where we offer a wide range of classes, taught by both local educators and special guest instructors. We also host many special events and private groups throughout the year. With a focus on exceptional quality and service, our staff is friendly, knowledgeable and eager to assist you in achieving the projects of your dreams! 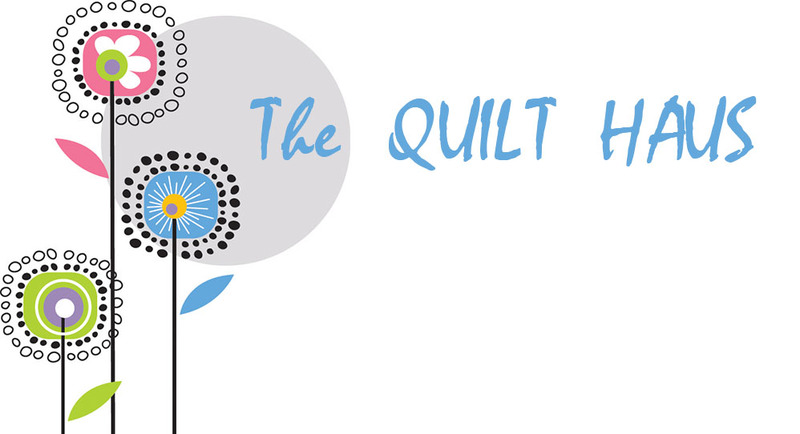 A dedicated day each week for fun, friendship, & quilting or sewing. Bring your machine and your sewing/cutting essentials. 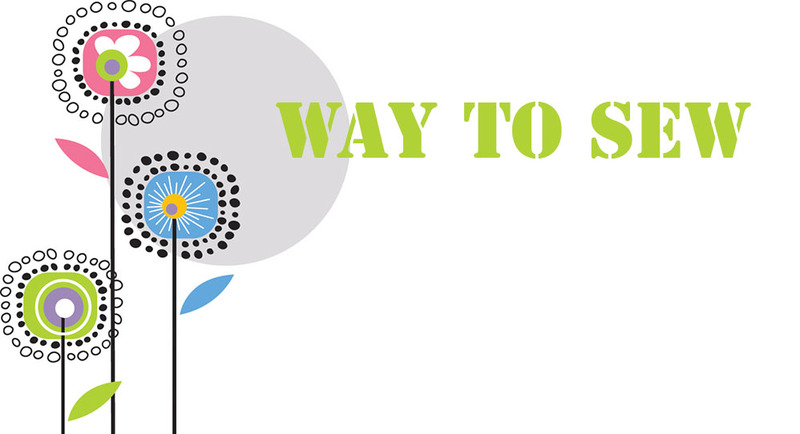 We provide cutting tables, mats, rulers, ironing boards and irons, and a kitchen with fridge and microwave. Fee is $5, due during meeting. Die of the Month is a great opportunity to test drive a new die before you purchase it! 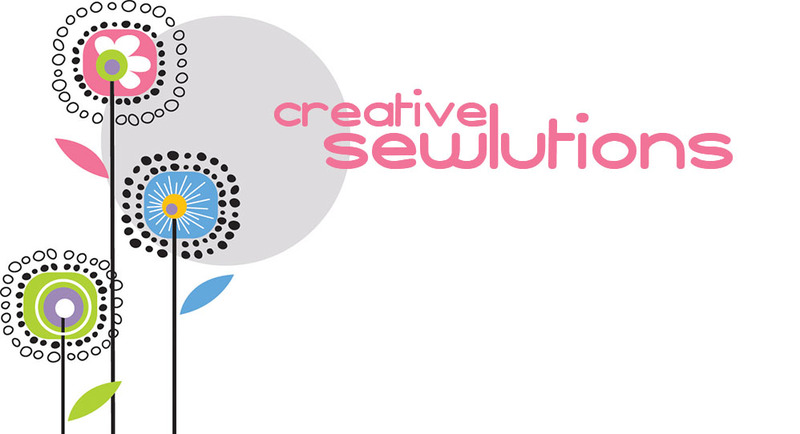 Bring your sewing machine, sewing supplies, your own pressing station, and your own fabric - refer to Supply List on sign up page . We will provide the Accuquilt cutters, Go! , Go Big! , and the Die of the Month . During this 1.5 hour session you will receive instructions regarding fabric prep, cutting, utilizing the die to save time and fabric, and block piecing tips and hints using the Die of the Month and future project ideas. One block will be constructed during class. Purchase your Die of the Month during class and receive a discount. Seats are limited to 10 per class. Many parts are still under construction; please bear with us and keep checking back.